Big deals were widely expected when US President Donald Trump made his first state visit to China. The world’s two largest national economies have to address growing disputes in their business relations, not only because they are each other’s major trading partners, but also, and probably more importantly, because their economic ties have long served as the cornerstone of Sino-US relations. Yet, the US$253.5 billion deals signed during the visit were bigger than expected, constituting half of the bilateral annual trade value and more than the bilateral trade balance in 2016 by Chinese statistics, and was also a record high in the history of the economic cooperation between China and the US. For years, Chinese leaders have described bilateral business ties as the “ballast,” heavy material put in a vessel to improve stability, or a “promoter” of the bilateral relationship as a whole, which still finds itself in troubled water. The more than US$500 billion bilateral trade in goods annually and US$200 billion plus two-way cumulative direct investment speaks for itself. The deep economic interdependence between them, famously coined as “Chimerica” by Harvard University Professor Niall Ferguson, has particularly been valued for its role in greatly reducing the potential risk of a full-blown conflict between an established power and a rising power – the so-called Thucydides Trap that has been seen often in history. This is why the risk of a pending trade war between them aroused doubts and concern over whether business can still serve as an effective buffer between the two powers. 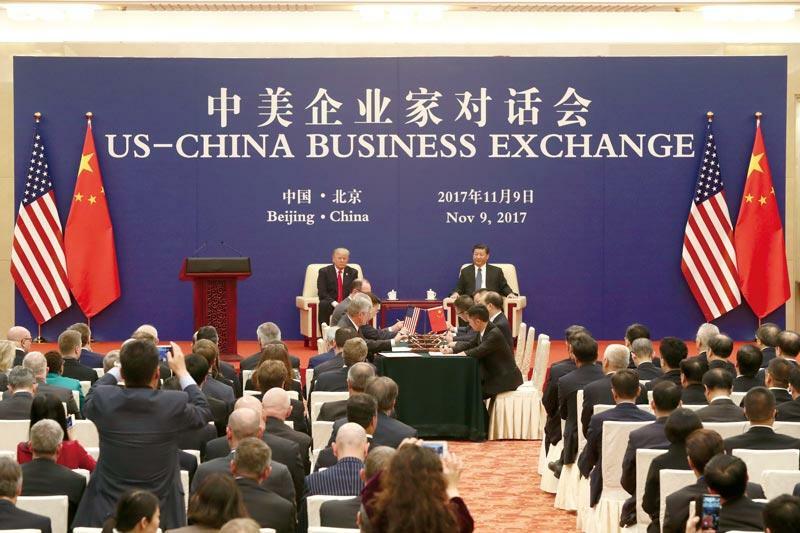 During his meeting with Trump in Beijing on November 9, Chinese President Xi Jinping confirmed that the business ties are still the “stabilizer and ballast” of Sino-US relations. While the value of the mega deals has attracted huge attention from both Chinese and international media, the composition of the deals matters much more. They cover a wide range of products, services and partnerships. This is quite different from previous deals, in which China typically bought US soybeans and Boeing airplanes. Too much attention paid to the dollar value of the deals may also miss something bigger than these mega deals. Unprecedented but long-awaited further opening of China’s financial sector to international investors and operators was announced on the list of results of the meetings between the leaders of the two countries during Trump’s visit. All this apparently indicates that business is expected to continue to play a crucial role in expanding cooperation between the two countries, but that there will be changes to its structure. According to Chinese statistics, in 2004, the US replaced Japan as China’s largest trading partner, but was then outweighed by the European Union the next year when the EU expanded its membership to 25 countries. 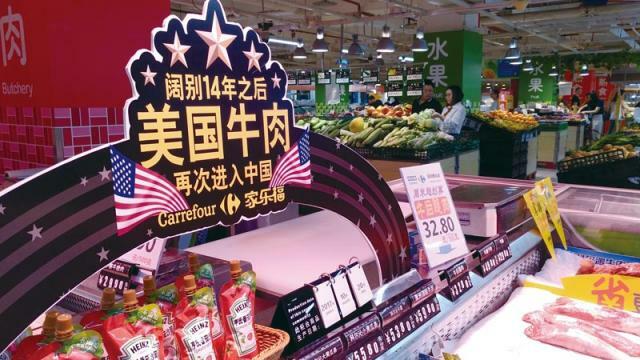 US data shows that China has been the third-largest export market for the US goods and services since 2010, and was second-largest agricultural export market of the US in 2016. The US is likely to regain its position as China’s largest trading partner in 2017 or 2018, as predicted by Wei Jianguo, former vice Minister of Commerce of China (MOFCOM), at a forum sponsored by Phoenix New Media in Beijing on October 30. Bilateral investment is much smaller than trade. According to MOFCOM, the US FDI in China accounted for only 4.5 percent of the total FDI inflow into China by the end of 2016. Chinese investment in the US took off a decade ago and expanded fast in the past two years, but is still dwarfed by other major trading partners of the US. Europe and Canada are the major sources and destinations of FDI in and out of the US. Whether big or small, products and services from the other side have already become an important part of daily life for people of the two countries. US consumers are familiar with China-made shoes, clothes and Apple products. Mechanical products are another major US import from China. It means some US products are made on machines from China. “We are used to having many American things around us, drinks, clothing and movies, and we never think about where they’re from,” said Zhang Jianxun, a 29-year old man who started an online outlet for local specialties in a county in the less-developed Yunnan Province in China’s southwest. He told NewsChina his dream is to promote local food and handicrafts to the rest of the world, and then travel around the world, with the US as his second stop after Europe. He also wants to study in the US. Many Chinese and US tourists and students have already done so in each other’s country. Indeed, some Hollywood blockbusters that Zhang and many other Chinese young people like, for example, Warcraft, are a combination of Chinese capital and US studios. The presence of finance in bilateral economic ties is much less noticed by most people, but it is stronger than most would imagine. China has long been either the first or the second (sometimes outpaced by Japan) largest foreign institutional holder of US Treasury bonds. Beyond this well-known fact, there is a huge amount of money sloshing around on the financial markets. Two hundred Chinese companies were listed on the Nasdaq or New York Stock Exchange by February 2017, according to the Research Report on China-US Economic and Trade Relations MOFCOM released in May 2017. It also noted that US investment banks were underwriters or co-underwriters of 70 percent of the more than US$310 billion funds raised by Chinese companies on the overseas stock market. All this means that not only Wall Street, but also many US households who buy into mutual funds in the US, have a financial stake in China. Workers are also an important part of the story of integration. In the textile sector, exports to the US created 3.8 million jobs in China during 2012 and 2016, said MOFCOM. It also stressed that US investment in and exports to China have brought talent, technology and management expertise which have facilitated the development of China’s industrial supply chain. In the US, exports to China created more than 90,000 jobs in the US in 2015, according to the US Department of Commerce. 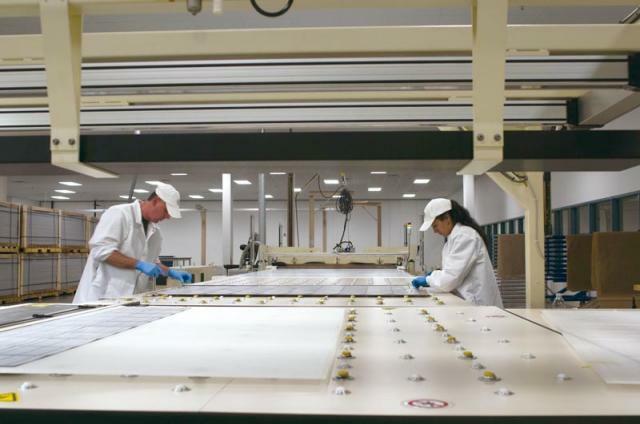 The number of American employees working in Chinese-invested companies in the US manufacturing sector was the third-largest by foreign investment in 2016, following Canada and the UK, according to the US Bureau of Economic Analysis. Workers themselves can be also consumers, tourists, students and investors involved in the bilateral economic exchanges. This strongest and most extensive public common interest between the two countries is overshadowed by growing frustration from both sides for both commercial and political reasons. The US has complained for years about the huge trade deficit with China, and attributed the imbalance to the unfair advantages of Chinese exporters, notably allegedly China’s foreign exchange rate manipulation, government subsidies to Chinese companies and low labor and environmental standards. China has rejected these criticisms, arguing that the US has overestimated its exports to China, underestimated the profits of US multinationals from high-end supplies in the bilateral trade and restricted high-tech exports to China. At the first China-US Comprehensive Dialogue in July, Chinese Vice Premier Wang Yang noted that only four percent of China’s integrated circuits were from the US in 2016. Regarding investment, the two sides have exchanged barbs on market access. US officials and companies have raised the rhetoric for the “reciprocal” openness of China’s market, especially the services sector. They also complained about forced technology transfers, inefficient intellectual property protection and national security reviews in China. A joint annual survey issued in July by the China General Chamber of Commerce-USA (CGCC), representing more than 1,500 Chinese and non-Chinese companies investing or operating in the US, and the CGCC Foundation, shows that a quarter of Chinese companies in the US think the review by the Committee on Foreign Investment in the US is opaque and politicized. “Complex China-US relations” has become the largest concern of CGCC members in 2017. Three of the top five challenges are about federal and state policies. By contrast, from 2014 to 2016, high cost of labor was regarded as the biggest concern, and only one or two of the top five challenges were about US policies. “These changes reflect their concerns about the potential effect of the political transition in the United States,” concludes the survey. The MOFCOM report estimated that over US$50 billion in Chinese investment was blocked by US security reviews in recent years. The two sides also take actions against each other. In early October, the US Department of Commerce declared it would defer decisions on whether to impose anti-dumping tariffs on imports of aluminum foil from China and whether to recognize China as a market economy. Some Chinese analysts thought the US may use the pending decision as a bargaining chip for more cooperation with China during Trump’s visit. However, at the end of October, the US Commerce Department announced not only up to 162 percent tariffs on these imports from China, but also China’s non-market economy status. A few days later, MOFCOM put forward a new consultation under the World Trade Organization (WTO) dispute settlement system on the US practice of using prices of surrogate countries in anti-dumping investigations. MOFCOM accused the US of continuing “wrongdoings” in its statement. The US refused to implement the WTO commitment on stopping using a third country as a reference of anti-dumping prices against China after December 15, 2016. The next day, China sued the US for breaking the obligation at the WTO. In the meantime, negotiations on the Bilateral Investment Treaty (BIT), an agreement highly desired by business communities in both countries, remain difficult. Economic issues, as well as the North Korean nuclear issue topped the agenda during Trump’s visit. Xi and Trump highlighted the crucial role economic ties play in the relationship between the two countries. New potential brought about by converging business interests has been identified and is expected to be exploited as a solution to address structural conflicts in the economic ties. For example, several energy companies joined the 29-member US CEO Delegation to China or made business trips to China during Trump’s visit, fueling expectation of more exports of liquefied natural gas (LNG) from the US to China. Three of the 29 deals signed by the CEO delegation were for LNG projects. On November 10, Zhu Guangyao, China’s Vice Finance Minister, explained at the briefing on the summit between the Chinese and the US presidents in Beijing that a long-term contract for LNG imports from the US had been on the table from the Chinese side for years, and the US has expressed increasingly strong willingness to do so in the past few months. Energy cooperation goes beyond exports. The biggest of all the 35 deals inked during Trump’s visit involves a project to develop shale gas into chemical products in West Virginia. At a meeting in Denver, Colorado in October, Chinese and US government agencies and companies had already reached agreements on cooperation on energy efficiency. There is even more possibility for cooperation than expected on China’s One Belt One Road initiative, which the US government strongly resisted as a Chinese attempt to challenge the US-led world economic order. Recent research by the Beijing-based think tank, the Pangoal Institution, has seen the possibility of “structural cooperation” between China and the US on the Belt and Road project, with positive signals from the US. In June, Trump told visiting Chinese State Councilor Yang Jiechi that the US was willing to cooperate with relevant projects of the Belt and Road. There are voices from leading US think tanks calling for cooperation with China on the Belt and Road. US companies have already acted to join the projects under the initiative, and are eager to do more. General Electric and China’s Silk Road Fund signed an agreement in November on jointly setting up an investment platform for an energy infrastructure project. At the Phoenix New Media forum, Evan Greenberg, Chair of the US-China Business Council and Chairman and CEO of Chubb, an international insurance company, and the largest commercial insurer in the US, said the company’s local offices around the world stand ready to provide services for overseas operations of Chinese enterprises, including those along the Belt and Road. Belt and Road infrastructure is regarded as another area with a lot of potential to be tapped in cooperation between China and the US. In June, Chinese and American politicians and business leaders discussed this in San Francisco. Based on their extensive communication with Chinese and US diplomats and academic and commercial communities before Trump’s visit, the Center For China and Globalization, a think tank in Beijing, suggests that a China-US fund for infrastructure be set up to facilitate joint projects not only in the US, but also in third markets along the Belt and Road. It also proposed inviting the US to join the Asian Infrastructure Investment Bank. The think tank proposed 12 areas where China and the US can tap more business potential together, including a regional free trade agreement in the Asia-Pacific, partnerships at the local level and more exchanges between business associations. Cooperation on the dinner tables also has a lot of potential beyond trade in soybeans, beef and Smithfield pork. After graduating in Alabama with a doctorate in 2012, Dong Xuan joined a food company in Qingdao, Shandong Province, and is now leading aquatic projects there. She hopes to work with US food companies to develop new food formulas for Chinese consumers. She also thinks that more high-end American products will enter China as more Chinese people can afford them in the future. “For us, US food companies will be both our competitors and partners,” she told NewsChina. “Trade is like dating, while investment is a marriage,” said Wang Shuguang, general manager of the US branch of Broad Group based in Changsha, Hunan Province in central China. He told NewsChina that more Chinese green field investment in the US can improve the impression US families have of China, as they will benefit from increasing incomes and come into contact with Chinese corporate culture. Indeed, more than half of the total US$253.5 billion deal is about investment, with a majority from China to the US, as Yu Jianhua, China’s Vice Minister of Commerce, told media on November 13, 2017. The growing Chinese investment in the US in the past decade has turned the “FDI relationship into a two-way street,” which has “turned the FDI into a first-order priority in the bilateral relationship,” said a survey tracking the bilateral FDI between the two countries since 1995, released in November 2016 by the Rhodium Group and the National Committee on US-China Relations. Generally, Chinese companies feel the US business climate is “neutral and stable,” according to the CGCC survey. In their interviews with NewsChina, several Chinese companies operating in the US appreciated the rule of law, market-oriented competition and quality of local staff. All this makes business risks in the US controllable, Wang from Broad Group told NewsChina. Chinese companies see highly diverse opportunities in investing in the US. Li Shaolin, president of PetroChina International America, suggested sectors involving pharmaceuticals, life sciences and high-tech manufacturing, such as aviation, were ripe for investment, as well as production of auto, energy and consumption products which enjoy a big market in the US. “There is cooperation potential in any area where China and the US are complimentary to each other in terms of production materials, the consumer base and technology,” Hu Gang, CEO of property company Greenland USA, told NewsChina. Finance is one of the main sectors that US companies have been eager to enter in China. A timetable to fully open the sector was declared by Zhu Guangyao at the briefing. In up to five years, there will be no limits for foreign ownership in financial institutions in China. The pace of relaxation depends on the sub-sector. Although further opening up of the services sector is on China’s policy agenda set at the 19th CPC National Congress, this immediate, unprecedented step came as an even bigger surprise than the US$253 billion deal. Bloomberg described it as a “big bang moment,” comparing it to the sweeping financial deregulation of the UK in 1980s. Chinese analysts generally regard the move as a positive step to encourage more competition in the financial sector for more efficient distribution of financial resources in the economy. Bao Fude, an official with Galaxy Futures Beijing, told NewsChina that he personally believes that Chinese futures companies would face more competition, particularly on the international market, from their US competitors who have more experience and expertise built up in the more developed US futures market. Li Honghan, a research fellow with the International Monetary Institute of the Renmin University of China, explained to NewsChina that financial opening is a precondition of the yuan’s internationalization and the development of two-way foreign financial investment in and out of China. He added that China’s economy and financial sector are strong enough now to face external shocks and competition. For example, China’s banking sector now records a lower ratio of bad performing loans than its US or European peers. Indeed, finance can serve as a China-US link extensively beyond the two countries and the financial sector. Bao thinks it is likely his company can work with US insurers on insurance and futures in agricultural products, like rubber, in Southeast Asia. Besides, China’s Dalian Commodity Exchange is trying to revitalize futures transaction on US soybeans, which account for about 70 percent of China’s soybean imports annually. 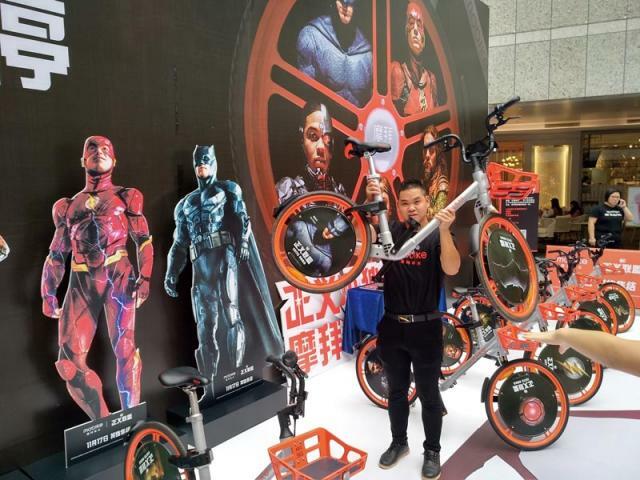 One Chinese man has started up his own business to help Chinese consumers get tax rebates from their overseas shopping. Although most of his clients shop in Asia, not in the US, they are middle-class groups that providers of financial, healthcare and education services from the US want to reach and understand. Once China opens these sectors to the US, there will be opportunities for him to work with US companies, he told NewsChina, on condition of anonymity. Still, there are concerns in both the US and China that thorny issues may overshadow economic ties for a long time to come. Paul Haenle, Director of the Carnegie–Tsinghua Center for Global Policy commented that Trump may face domestic criticism against lack of progress on the “structural trade and economics issues,” referring to market access, reciprocal treatment for US businesses, IPR, technology transfer, and Chinese industrial policies, and then China may “see a shift toward a much harder line coming from the US administration.” An expert on China-US relations agreed that Trump would face domestic disappointment over his China trip soon after his return. He told NewsChina on condition of anonymity that the US will feel that it got fewer relative gains from the business with China, and this feeling will continue and increase as China is catching up and the US faces difficult domestic structural reform over its economy. For example, the US used to regard intellectual property as a technical issue, but now it is a strategic issue, he said. Professor Sang Baichuan, Dean of International Economy at the University of International Business and Economics in Beijing, told NewsChina that Trump’s “America First” strategy would consolidate the US’s sense of fewer relative gains and further motivate the US to blame China for all the problems in the bilateral business ties. In addition, the US now regards economic competition with China as a part of China’s challenge to the US’s global leadership, not just its economic interests. Given this, he thinks the two countries may yet face a more complicated and competitive economic relationship. These can hardly be solved by mega deals. The business communities are looking forward to better political relations to reduce restrictions on trade and investment between the two countries. Fortunately, there is consensus among Chinese analysts that business ties will remain the most stable and controllable factor between the two countries, and thus will serve as a reliable bulwark. Leaders have to take advantage of this “ballast” and consolidate it.